We offer an excellent opportunity to buy a business in Spain. 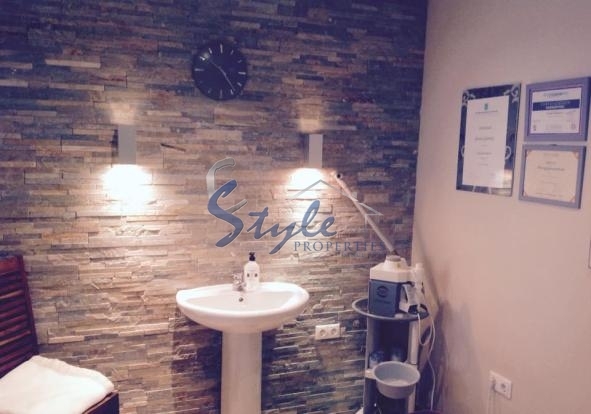 Beauty and hair salon with a great reputation, located in a busy shopping center in Torrevieja, next to a supermarket and residential urbanization. Rooms fully equipped, great renovation and decoration. In the lounge room there is also a manicure table, 2 rooms for esthetic treatments. Inside, beautiful, experienced staff and a large network of loyal customers across Europe. There are all the necessary documents. Salon is located in an area where, thanks to the climate all year round residents living in northern Europe.